Joel Feder November 17, 2017 Comment Now! Tesla did its best Steve Jobs impersonation at its semi truck press conference on Thursday evening as it showed "one more thing" after the unveiling theoretically ended: the next Roadster. 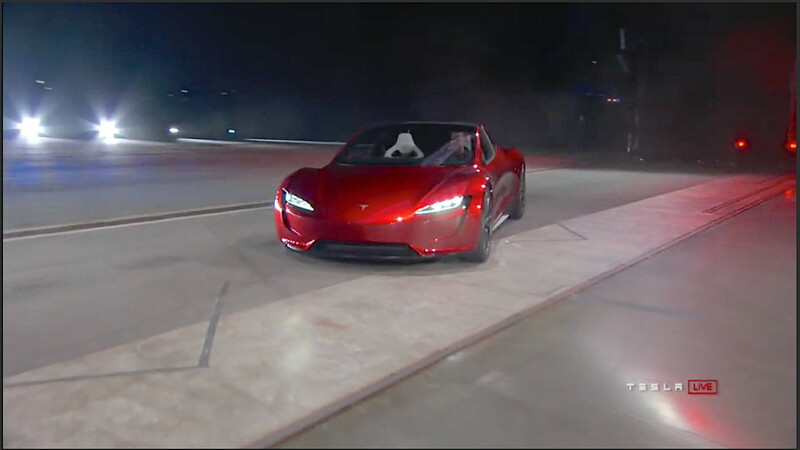 CEO Elon Musk told the crowd that everyone keeps asking when Tesla will build the next Roadster, "and we are now." With 7,375 pound-feet of torque courtesy of the three electric motors, the Roadster will sprint from 0-60 mph in just 1.9 seconds. Yes, Tesla claims it will break the 2.0 second barrier. Wait, there's more. 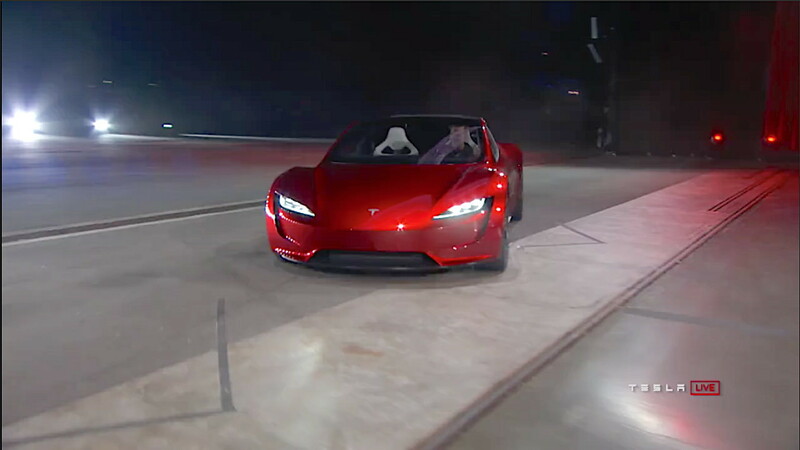 The new Roadster will run from 0-100 mph in just 4.2 seconds on its way to a top speed of more than 250 mph. The Dodge Demon is the fastest production car to run down the quarter-mile dragstrip, according to the NHRA, but it seems it might not be for long. 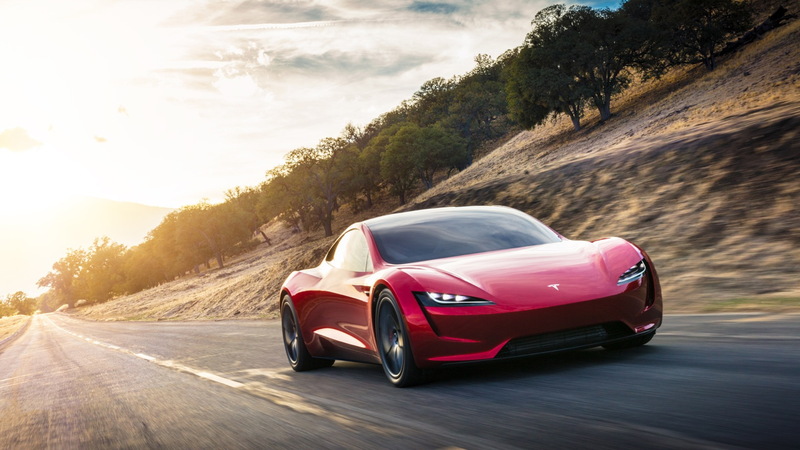 Tesla claims the new Roadster will do the deed in just 8.8 seconds. Powering all this is a 200 kilowatt-hour lithium-ion battery pack for a total claimed range of 620 miles. The battery feeds two motors in the rear and one up front, enabling all-wheel drive. 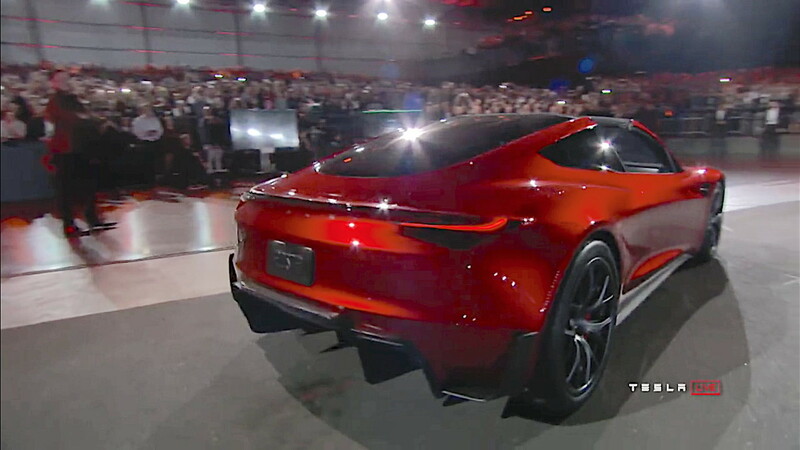 While the first Roadster was almost a kit car based on a Lotus, the new one looks gorgeous with strong curves, beautiful sculpting, and flowing lines. Inside, the look is simple with a large touchpanel display and an elegant steering wheel that likely won't make it to production. 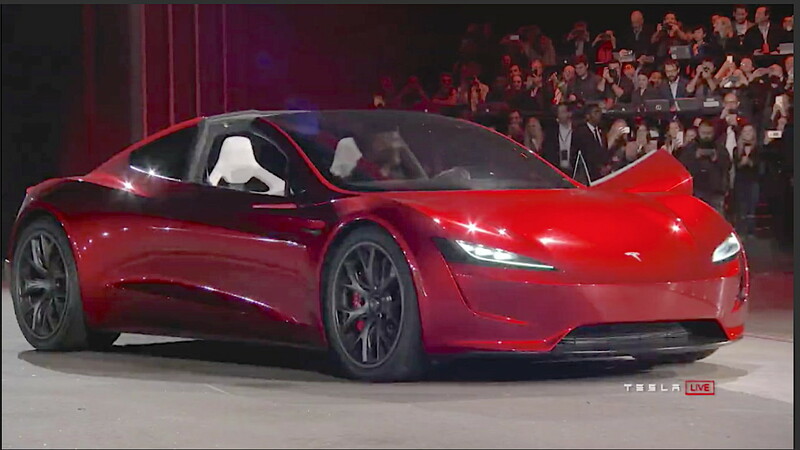 The new Roadster's body style is really more of a targa with the center section of the hard roof removed. More interesting is the fact that the interior layout is a 2+2. Yes, there are rear seats this time instead of two, though Elon did say you would need to be a small human to fit in them. Of course, none of this will come cheap. The base price is set at $200,000, with 1,000 Founder Series models carrying a $50,000 premium on top of that. Tesla is now accepting reservations and requires a $50,000 deposit (the full $250,000 if you want the Founder Series model) with $5,000 due upon signing and the remaining $45,000 wire transferred within 10 days. Tesla said production will start in 2020, but the brand is notorious for being late on deadlines and it is currently in "production hell" with the Model 3.